← must make ishvara sandals! The tabs in the toe come from cutting the leather either in a wide U shape, as theshoelady said, or perhaps even from a straight strip. The straighter the piece (that is, the wider the U), the more bulk in the toe. Imagine cutting roughly a rectangle, then putting slits across most of its width. The uncut edge gets stitched to the sole. This piece runs around the forefoot. This is a very old design–the Romans used something very similar to make the sandals their soldiers wore. Very neat shoe – good for feet that swell. To get the tabs at the toe, the pattern needs to be cut in a wide ‘U’ shape. 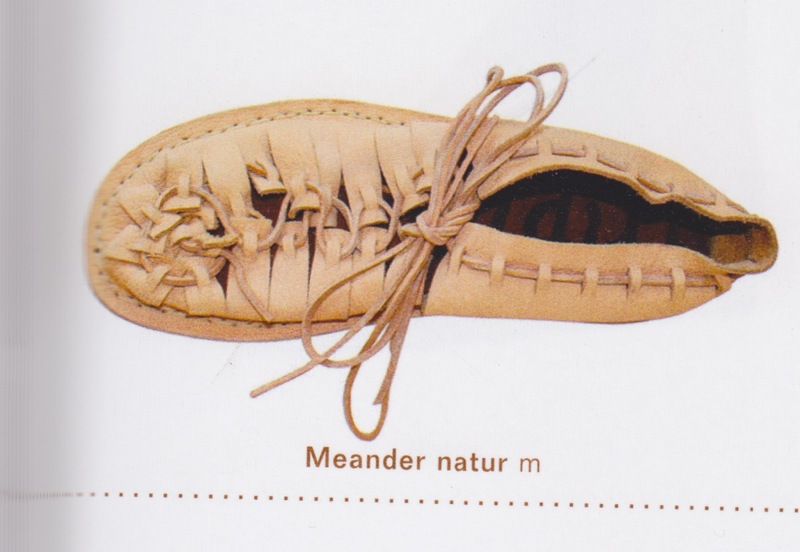 The toe area can also be left uncut and pleated, and the lace passed through slots in the pleats. This would make the area less bulky.